There’s a feast on offer in Tilbury and everyone is welcome. 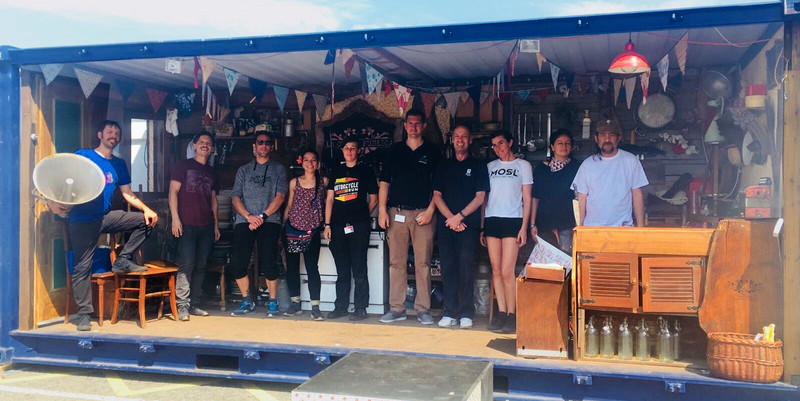 In conjunction with the Tilbury on the Thames Trust and the Port of Tilbury, outdoor arts organisation Kinetika have invited innovative arts company Teatro Container from Chile to bring La Cocina Pública – the Public Kitchen to Tilbury Cruise Terminal. 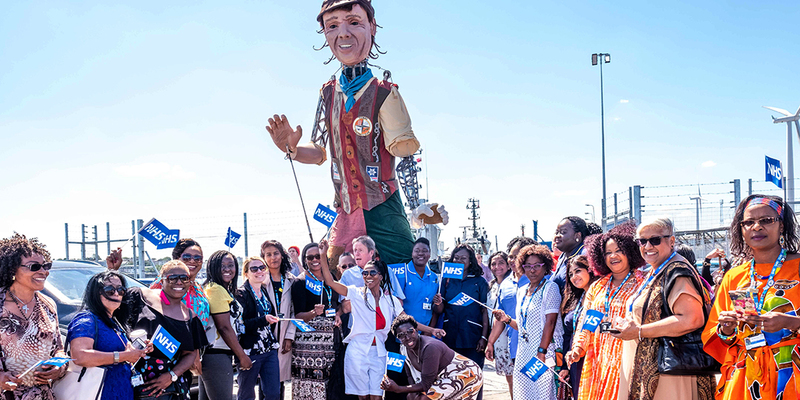 They will hold a community feast for 200 people on Saturday 21 July as part of the Port of Tilbury Open Day 2018. La Cocina Pública is a mobile kitchen built inside a shipping container. It is a place for swapping ideas about food, for producing food and recording local culinary traditions and recipes. Teatro Container, from the Chilean port town of Valparaiso, use the kitchen as a place for communities to socialise, meet and gain understanding of others’ cultures. Kinetika has invited them to Tilbury as the culmination of the T100 Recipes walking festival and to launch of Kinetika’s new two-year project, Kitchen Table. The Teatro Container team with their kitchen in a shipping container when they arrived at Tilbury. In a series of workshops in Tilbury, Teatro Container and Kinetika have been working with the local community, gathering recipes for the community feast, seeking out foods different groups have brought to the area over decades and sharing traditional local foods and favourite tastes and flavours. 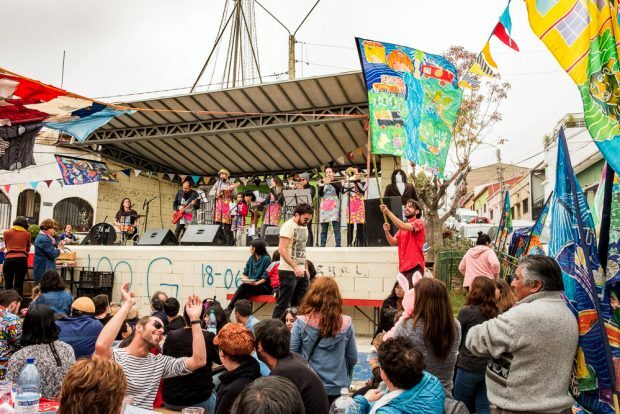 The stories, memories and ideas that come out of these workshops are an essential part of the project for Teatro Container, and for Kinetika, who will host its own community feasts as part of Kitchen Table in 2019. The workshops have created a performance to accompany the feast, with dancing and singing. Featured in the performance will be the four metre high Tilbury Docker puppet made by Kinetika with input from local schools and colleges and commissioned by the Tilbury on the Thames Trust. The puppet marks the start of a process to revive the Tilbury carnival. The Tilbury Docker will walk from Tilbury Station on Saturday, leading a procession to the Cruise Terminal. Kinetika’s new project, Kitchen Table, is a culinary based programme to explore, share and celebrate the histories of many communities from around the world that now live along the lower Thames Estuary through conversation, food and activities. It is an opportunity for people of all backgrounds to come together through sharing the ‘ingredients’ of their cultural heritage, against the backdrop of the Thames, as it moves from river to sea between Barking Creek and Southend-on-Sea. Kinetika’s Creative Director is artist and walker Ali Pretty. Ali combines her love of walking with her art in the Thurrock 100 walking festival. “We are looking forward to learning from Teatro Container and taking inspiration from La Cocina Publica for our own Kitchen Table community feasts in 2019,” says Ali. The Thurrock 100 walk from Tilbury Town Station to the Port begins at 10.30am. The community feast at the Cruise Terminal starts at 1.30pm.